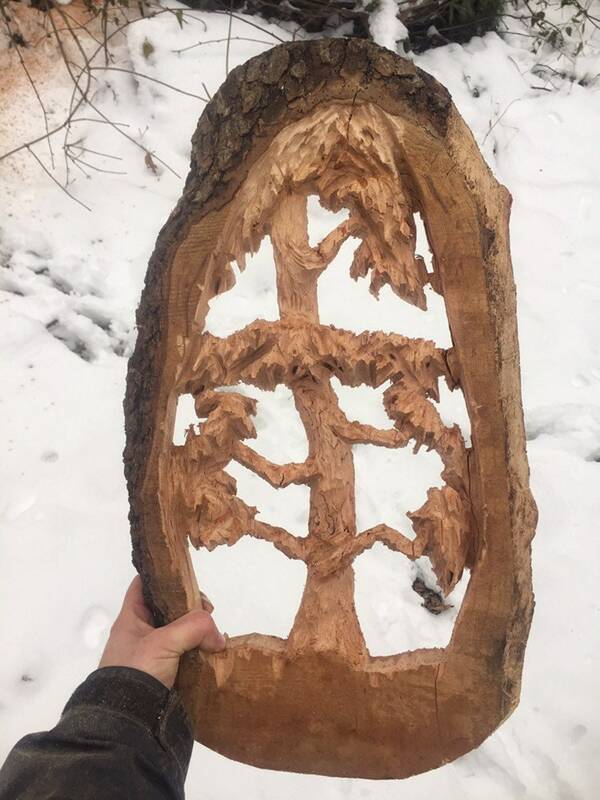 I made this wood carving using only a chainsaw. 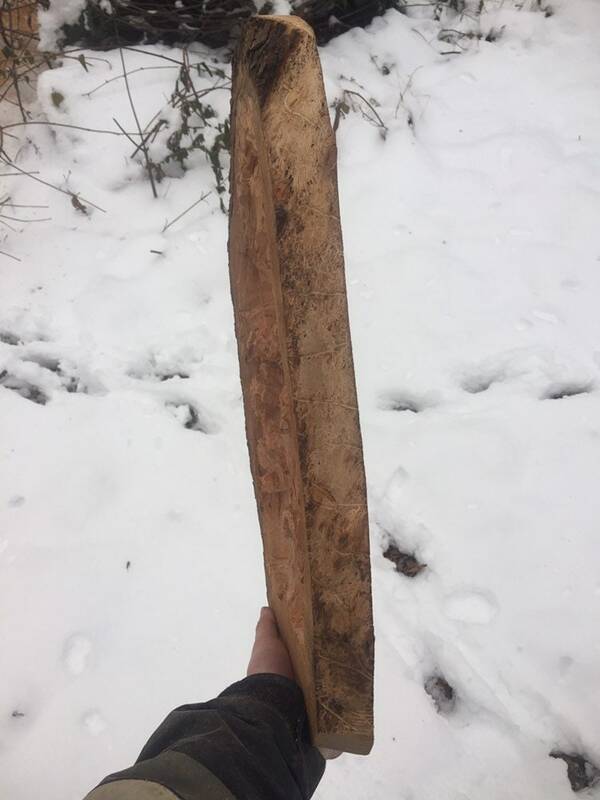 No other tools were used. 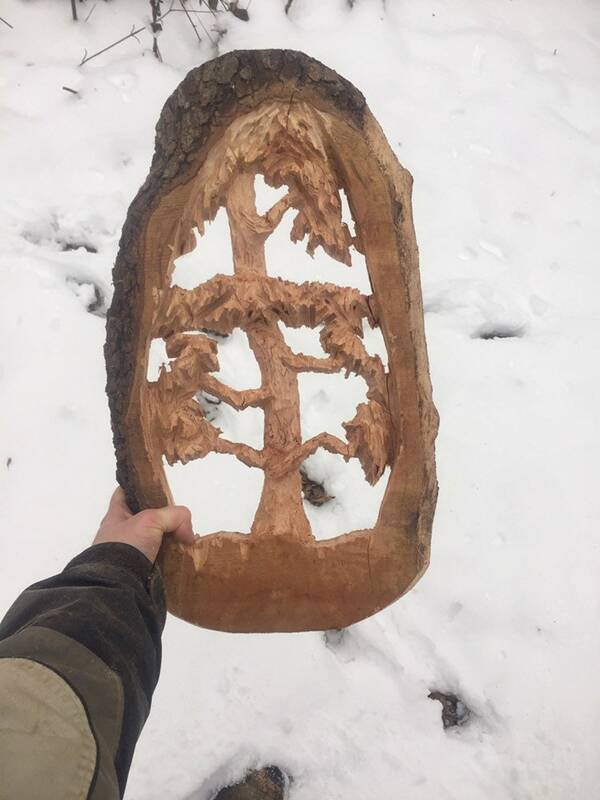 I left this carving completely natural. 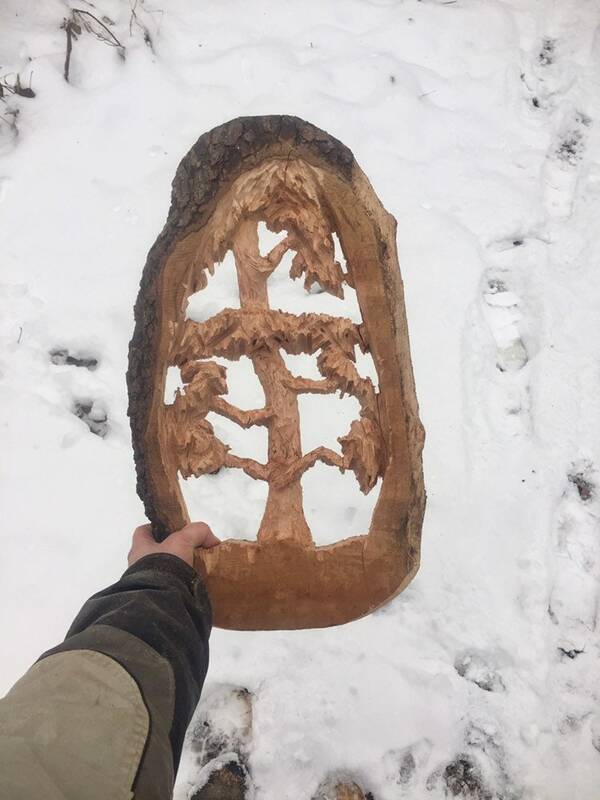 No stain, paint, sealer or dyes were used. 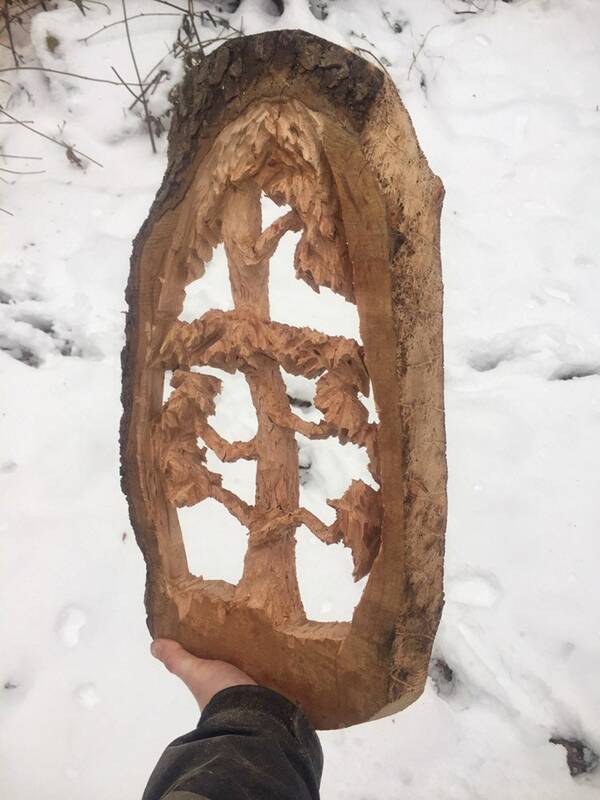 This depiction of a hardwood tree is carved in a piece of dry, Cherry wood. 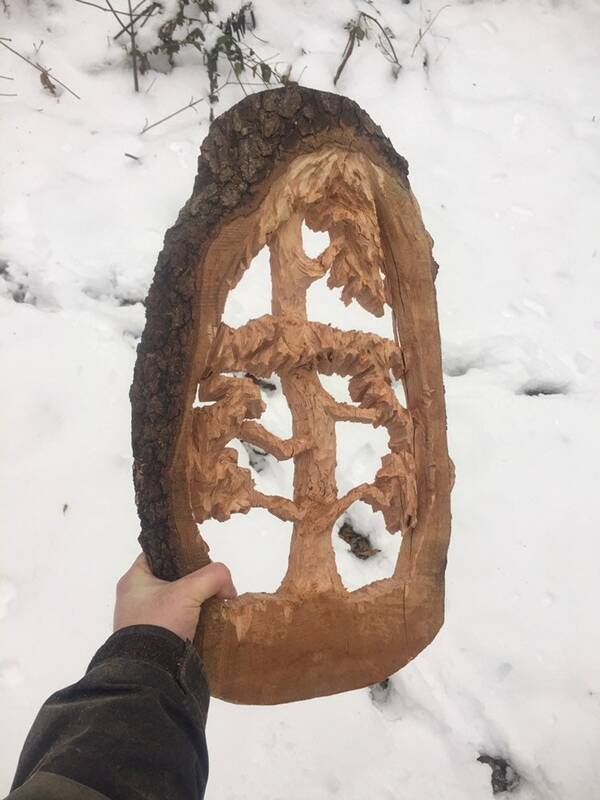 It is 21 1/4” tall, 12 1/2” wide, 1 1/2” thick.